CSC 344. 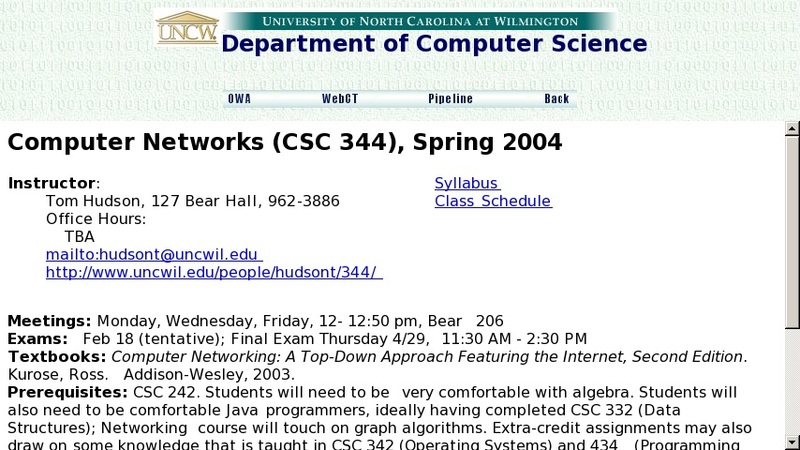 Computer Networks (3) Prerequisite: CSC 242. The theory and application of inter-computer communication. Local-area and wide-area networks; data transmission and error correction; OSI and TCP/IP layering protocols; ethernet, token ring, token bus and other network technologies; network topologies; the client-server model; bridges and multi-protocol routers; the Internet. Applications include electronic funds transfer and distributed databases.